In previous years before mobile applications where the “in” thing, many Smartphone users would access the World Wide Web thru the internet browser which was installed in their Smartphone device. That was the most efficient way to access the internet and visit websites which individuals wanted to browse on. 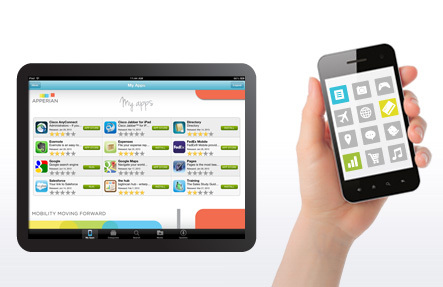 With the introduction of mobile applications and mobile application marketplaces (such as Apple’s iTunes Mobile Application Marketplace or Google’s Droid Application Marketplace), there started to slowly become a shift in user preferences and Smartphone users slowly started adopting and using mobile applications as a means of accessing website content and information which they would want to find on the internet. Now in our current day and age, mobile applications have become the primary way which individuals use to access information displayed on websites and browsers installed on Smartphones are now starting to fade in to the background. The shift for Smartphone users now using mobile applications as their primary means of accessing internet content is not a surprise to many mobile application developers and mobile application “experts” as they have felt for a long time now that mobile applications will be taking over the future similar to how websites took over during the dot.com bomb in the 1990’s. One developer involved in mobile application development, was recently quoted in saying “I am certain that mobile applications are the way of the future and individuals will no longer use browsers such as Safari to access the internet. There will be no need for them to go thru a complicated user interface where the the content is so small when they can navigate thru a website using a mobile application which has a very clean user interface” For more information, you may click here. The trend of mobile applications will continue to grow going into the future and as evidence has shown, the decline of mobile websites and internet browsing via Smartphone is expected to diminish as we progress into the future as well. It is impossible to predict what the future will hold for mobile applications, mobile app developer and the firms which develop mobile applications but the future certainly looks bright.